GERRY – Congressman Tom Reed (R-Corning, NY 23) offered his thoughts on Saturday’s missile strikes in Syria, as well as the on-going investigations tied to President Donald Trump during an appearance in Chautauqua County on Saturday morning. 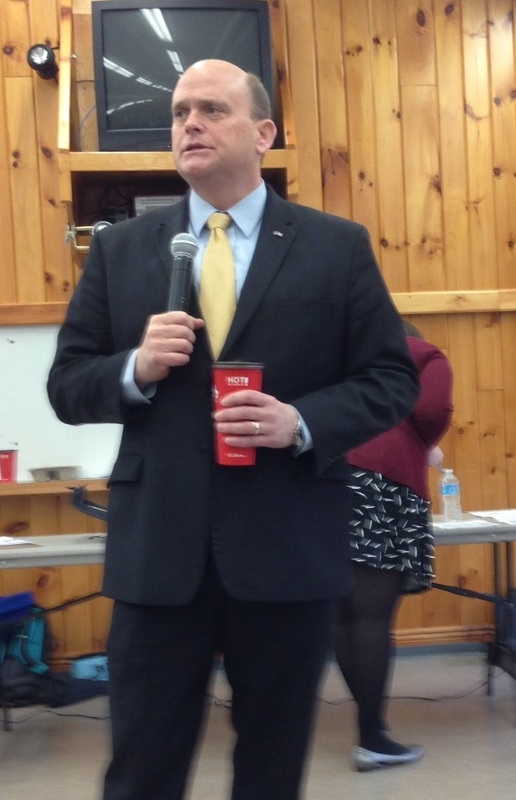 Rep. Tom Reed (R-Corning, NY 23) held three town hall meetings on Saturday, April 14, 2018, including one in Gerry NY. Reed was on hand at the Gerry Rodeo Grounds for the first of three town hall meetings scheduled for his district. In the wake of the U.S., French and British missile strikes aimed at chemical weapons facilities in Syria, Reed said he felt the response was measured and reasonable. Reed also said that if further military action is required, the Trump administration shouldn’t make that decision on its own. “When we go forward, if we go further, I do believe Congress has an obligation under its constitutional authority to weigh in this and we’ve asked our leadership and others to join us in having that debate and conversation,” Reed said. Meanwhile Reed was asked by some in attendance his thoughts on the Robert Mueller investigation, which focuses on Russia meddling in the U.S. elections as well as whether or not the president and his campaign staff worked with Russian agents. Specifically, did he think the the investigation should continue and if he supported protecting Mueller from being fired by the administration. “I support it going forward, following the evidence and facts and that are before it. I’m confident that they will wrap this investigation up sooner rather than later in my opinion, and that’s good. We need to get to the conclusions and the findings of this investigation and wrap this thing up,” Reed said. However, Reed said he doesn’t support congress approving a resolution to protect Mueller from being fired, because he feels it would be a lengthy process and if the investigation wraps up before that process is completed, it would become a moot effort. Reed also gave updates on several key items he’s focused on in Congress, including the Farm Bill, with a focus on Dairy Price stabilization and Food Stamp reform. He also offered his thoughts on Trade, saying he supports on-going tariffs against China and other countries that put the U.S. at a disadvantage in the world market, saying he believes the actions by the administration will pay off over the long-term. About 25 people attended the town hall. It was the first of three to take place across the 23rd congressional district. 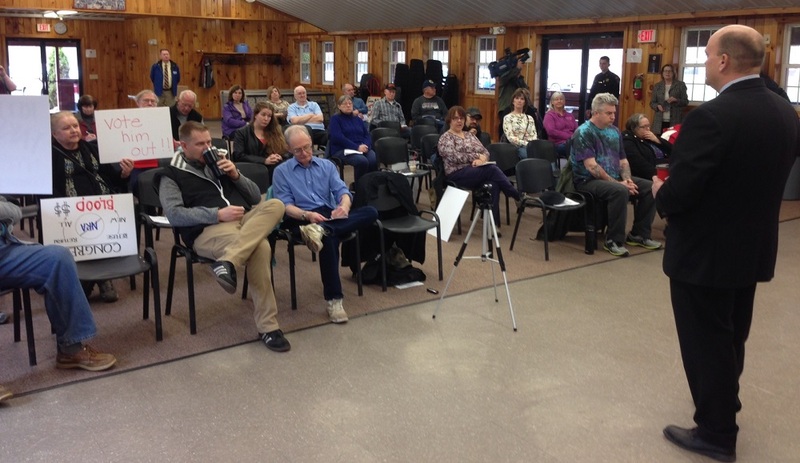 About 25 people attended Rep. Tom Reed’s Town Hall meeting in Gerry, NY on April 14, 2018.